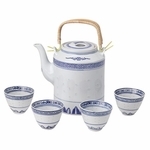 Ceramic teapot tends to be among one of the most popular options for serving tea around the world. This modern style teapot comes with a stainless steel lid. 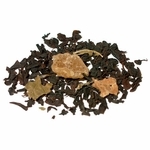 This item is perfect for whole leaf tea. 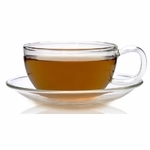 Use 2 teaspoon of tea in the stainless steel infuser, pour boiling water in the teapot, wait 3 minutes and then serve. 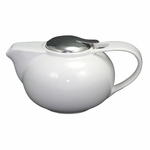 1 teapot (approximate capacity: 34 fl oz or 1000 ml). Click here for a double lid tin canister. 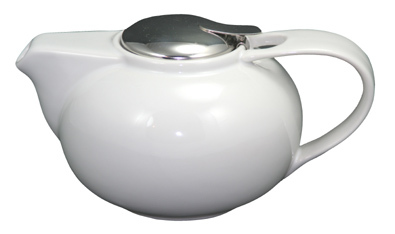 The teapot is as described on the website. 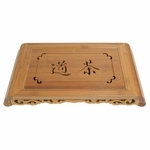 It is a nice size and shape and excellent value. Would buy again. 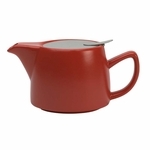 Really great teapot for the price. Nice ceramic and not too big, not too small...perfect size. Can't go wrong. Easy transaction and arrived on time. Too big and the quality is average. All depends what you want it for. Probably good for a party of three to have tea. Just the right size for me to have at work. Excellent quality. Shipment arrived one day early which is a plus for me. Very pleased with the product and the service. 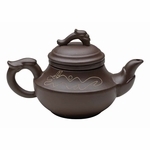 This is a beautiful tea pot, little big but really cute. Easy to use . This is a cute design and I'm glad I purchased it for my teapot collection. 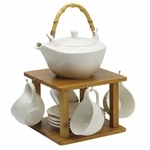 Overall, I enjoyed using it and its a great size for 1-2 people. 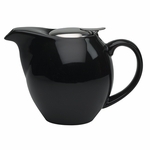 The only issue I had with it is: the handle is so wide, I didn't find it as easy to hold and pour from as my other teapots with more narrow handles. I will enjoy displaying it but it is not one I will use everyday. I bought this for my sister and she said she loves it. Great teapot! My wife is happy with it and has used it everyday since she got it for mother's Day. 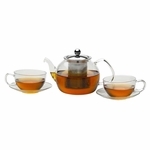 I received this perfectly sized teapot in only a few days; well-packaged & beautifully crafted; a nice contemporary style; I ordered the pot to go with the 9oz teacup & saucer. Very pleased with both items.